No matter, new times and new experiences enjoy making fresh and untarnished words to describe them. Words must have their pleasures, even when we don’t quite understand everything someone is saying. 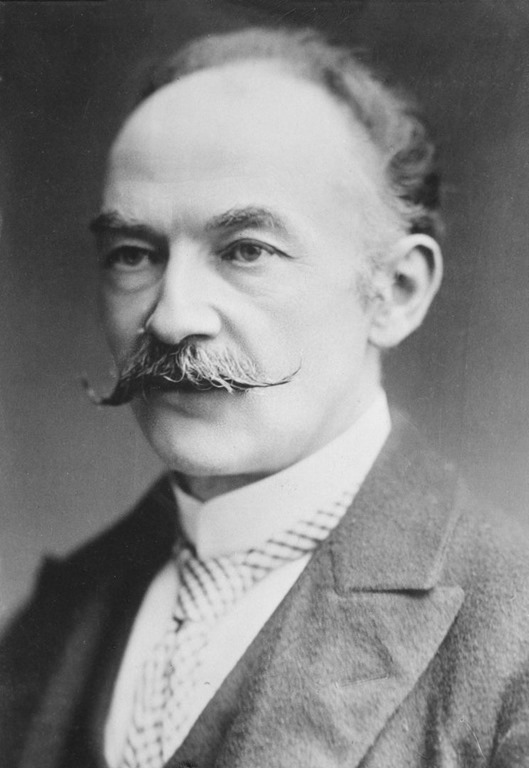 Take Thomas Hardy, a man who wrote what may be one of the last poems written in the 19th Century, after he had spent 61 years in it. Published on or around New Year’s Eve in 1900, today’s piece is “The Darkling Thrush.” In Hardy’s poem, as an old man looks at the changing of a year and century, we have the reverse of my son’s joy: old words from an old man. Careful with the moustache wax Tom, you’ll put someone’s eye out! Coppicing is a European method of managing tree growth, in which mature trees are cut off to allow fresh shoots to continually propagate. Spectre is more known now as a trademark applied to laptops and James Bond bad-guys, but is an English word for a spirit or ghost. Bines are not vines to the knowledgeable horticulturist (bines twist their main stem around things to tangle and climb, vines use special parts of branches to hitch themselves up). Lyres are not supporters of disreputable political movements, but a stringed harp. Illimited is just another, rarer, form of the word unlimited, and I think Hardy may have chosen it because it starts with a sick word, ill, but also puns on illuminated. The titled adjective, darkling is a handy way to say it’s occurring in the dark. Although it’s a little-used word, like illimited, the sound of it brings to mind something else, the smallness of the title bird, as in duckling, and darkling’s sound also lets us see dusk rather than deep night, when we can still see the winter thicket Hardy sets his poem in. But outleant is the real mystery word. A short web search finds no online dictionary definitions, no examples of its use other than in Hardy’s poem. A simple deconstruction of the word’s parts would make it, inverted, saying “leaning out.” And that’s what it probably means. There’s textural evidence as it ties back to the poem’s second word, “leant upon the gate” to the coppice. Yet, did Hardy intend to infer two other close words in this word’s sound? Out-lent, a sense that the haunted and dreary winter scene of the poem is owned by the old, dying century and is lent out only to the present? Depending on pronunciation of the printed word’s “ea,” it could conceivably be pronounced out-lent (and Hardy does rhyme it with “lament.”) Does he also want us to hear a closeness to outlearnt, and that the old century’s corpus of belief has been superseded (by newer scientific discoveries?) That would be consistent with Hardy’s beliefs. Perhaps this is my weakness as a reader, translator, performer and poet myself. If I sense an image is possible, I want to see it, hear it, perform it. Bare winter bines twisted around a copse of brush wood as a corpse leaning out of a coffin may be grisly, but it’s not to me a strong image. *** Even if it’s abstract, the second sense, that of this bare and haunted landscape being the cemetery plot owned by the old century of which we are only visiting seems stronger. For others, the sense that new knowledge has killed off the old beliefs (outlearnt) could be a choice. I can’t know that Hardy intended this ambiguity by choosing this unusual word outleant, but I, the reader, put it there. The title calls attention to the central image, yet another messenger bird in British poetry, to go with the nightingales and skylarks of Keats and Shelley, poets of Hardy’s now dying century. I like that Hardy lets us see the bird, and it’s frail, gaunt, and -ling tiny, and that we can see feathers fluffed to best insulate its frame, which the wind is disputing. So, there was Hardy, around New Year’s Eve, using his old and odd words at the end of an old century. For us, Hardy’s oncoming one (the 20th century) has now closed itself. Will things get better or worse in our new year? Something in us wants to foretell at every ending—yet even looking backwards, we have trouble making a simple better or worse judgement. Here, the battered bird, the darkling thrush, says better. Hardy says he knows he doesn’t know. He knows he doesn’t know is the realist’s version of hope. Anyway, one of the joys of combining poetry with music is that you don’t have to take a test on the words to enjoy the piece. My pompatus of a performance of Thomas Hardy’s “The Darkling Thrush” is available with the player below. *Right now he’s very generous in this however. He wants me to know these words so I won’t be left out. ***Saplings and bines and “sharp landscape” would indicate a skeletal image is intended, but bare bones are not particularly scary or intense compared to rot and decomposition, much less animated brains-hungry undead. Hardy doesn’t mean scary so much as long-dead I guess. Interestingly, Hardy had a direct graveyard experience to draw on here. I live in one of the northernmost states in the U.S., a place where winter cannot be denied, and so we must make our treaty with cold and snow. Some will even claim it makes us better persons—hardier, accepting of the Zen of difficulties. Still, if Minnesota has inherent Buddhist elements, it doesn’t lessen my attachment to a shelf of warm clothes. Like many things that meet America, Beat got absorbed and its rule-breaking became a style, a fad, a fashion, a look, a required attitude received with only enough meaning to make the accessory match the outfit. Every time I read to music here, I fear I’m seen as wearing a costume, playing a role. So, what’s this got to do with Henry Wadsworth Longfellow—the square’s square—the man who wrote poetry that poets of the last 100 years find worthless? The bass and drums begin, the guitar comments and the piano-player chords on the side. The bearded man steps to the mic, sheaf of paper in his hand. The drummer is still slapping the snare with his brushes, as the bearded man at the microphone gestures onward to the band, with a slight roll of his hand. His face changes. The vision’s past, is there a resolution? “Psalm of Life****” he says. This other poem is confrontation to everything we’d expect in this club for those who listen here and think about what they heard. “Mournful numbers,” are told on this stage every night, and he’s dissing them right off, and he ceases to pause his words now. The dance of the snowflakes becomes a march of “Let us, then, be up and doing.” What is this? The must be shoveling and stuck car after the beautiful, sorrowful snowfall? He ambles off as the band riffs for another couple of minutes. What does this strange combination of poems mean? A snow-flake satori in a field, and then a command to earnestly strive. Yes, this Longfellow is a strange cat, even here. My performance of Longfellow’s “Snow-Flakes” and part of “A Psalm of Life,” is available with the gadget below. 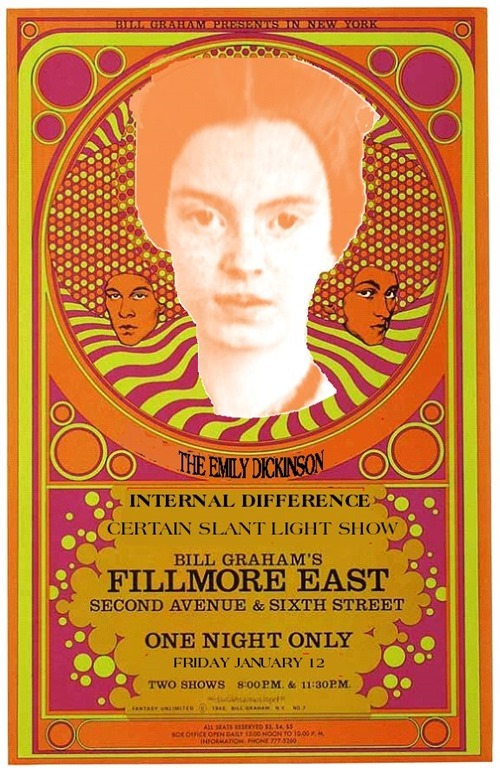 *In the course of the long influences that led me to doing this project, a local Iowa rock band of the late Sixties, “Emergency Broadcast System,” would open their 1968 sets with the singer speaking a good portion of Ginsberg’s “America” over the band riffing. **I recorded this on Christmas afternoon, first laying down the drum track and playing my Bass VI, an odd instrument that adds two higher pitched strings to the conventional four-string bass, instead of adding lower strings, the more common variation. I used this higher range to play the repeating, descending riff that occurs throughout the song. I played guitar around this rhythm section and then played the block piano chords. As a last step, I figured if I’m going to impersonate a jazz quartet I might as well go all-in and put in some fake club ambience. Maybe this did come from binging The Marvelous Mrs. Maisel this month with my wife—or from nights at the old Artists Quarter in St. Paul and listening to Sunday at the Village Vanguard by the Bill Evans Trio too many times. ***This one goes out to Mary Grace McGeehan of My Year in 1918, who thought of this poem when she thought of Longfellow. It’s one I’d overlooked until she brought it up, and what a graceful lyric it is! ****I performed only about half of this once well-known poem of Longfellow’s here. Several phrases in it were mottos for my grandparents’ generation, and my parent’s generation passed them on to me in occasional speech under a thin varnish of irony to preserve them. As a result, both the poem’s claim that “Life is real! Life is earnest!” and it’s command to “Let us, then, be up and doing” have remained with me. Here’s a hopeful song written by a worried man during the great trauma of the American Civil War. Those who’ve followed along on this blog in 2018 will know that I’ve performed several pieces with words written by that man, poet Henry Wadsworth Longfellow. I’ve written about his once great fame and his steep fall from poetic fashion, but I’ve written little about his eventful personal life. 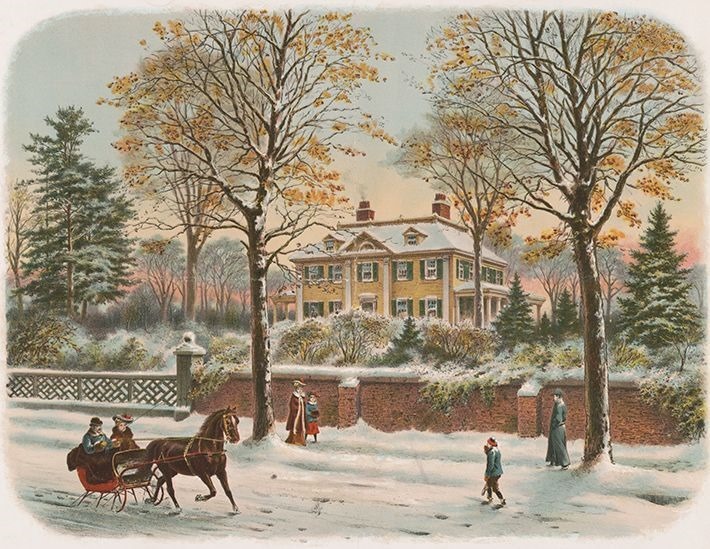 Not all of what it seems: a picture postcard scene of Longfellow’s home during the Civil War. When the American Civil War broke out in 1861, there could be no doubt on which side Longfellow would be on. To the extent that Longfellow was political as a writer, he was resolutely against the institution of slavery. Longfellow was also philosophically a pacifist, but even before the war he was aware of the cost Abolitionist convictions could bring. His closest friend, Charles Sumner, a U. S. Senator and another Abolitionist, was sitting at his desk on the Senate floor in 1856 when three southern congressmen launched a planned assault on him. The leader of the crew beat Sumner into unconsciousness with a walking stick, while the other two held off any who rose to try to stop the assault, one brandishing a pistol to keep help at bay. Sumner was so badly injured from the attack he was unable to resume his Senate duties for three years after the attack. By the spring of 1863, the Civil War over the maintenance of slavery was now two years old. No one knew how long it would continue or what the outcome would be, and once more someone close to Longfellow would feel its blows. Longfellow’s 17-year-old son Charley, who had firmly resolved his own feelings about the war, snuck out of the family home and made his way to Washington to join the Union army. In November of that year, his unit was reconnoitering around a Virginia location called New Hope Church. They found what they were looking for. A southern bullet ripped through Charley Longfellow’s torso sideways, just nicking his spine. Luck that, and luck that he was able to endure and survive a painful evacuation on a wagon and the woeful state of battlefield trauma care in his time. Over half-a-million fellow soldiers didn’t. So, a month before Christmas, Henry Wadsworth Longfellow was searching the maze of makeshift hospitals and camps in Washington until he found his wounded son. Son found, by Christmas the Longfellows could return home for further recuperation. Today “I Heard the Bells on Christmas Day”* if listened to casually may pass as just another carol, an obligatory musical evocation of some cheerful pealing on a winter’s holiday. But to the poet who wrote these words that Christmas, and to the nation torn apart, that he and his audience were part of, this was not merely another generalized Christmas card. I wrote a couple of hundred words, meaning to put them here next, starting to say, preaching about, what Longfellow said in his poem—but Longfellow says what he needed to say pretty well and clear for an unfashionable poet. Maybe that “clear” thing is part of what is unfashionable, but despair shared and hope earnestly put forward is a gift. The player gadget below will let you hear “I Heard the Bells on Christmas Day (Christmas Bells)” as I performed it. To sharpen Longfellow’s point, I trimmed back the number of stanzas in his original poem and then again from the shorter number of verses usually sung in the hymn that was made from it. I also reharmonized the chord changes a little. Guitarists wanting to play this themselves can use this shared link to see the details of the open tuning and chord voicings I used for this. The modified tuning, with the two lowest strings on the guitar tuned down even lower, makes this very easy to play. *When Longfellow’s poem was published the next year it was titled “Christmas Bells,” but it’s now best known through the hymn/Christmas carol set to music by John Baptiste Calkin. I have an LYL Band song again to share with you for Winter Solstice, but unlike last year’s cover of Robyn Hitchcock’s “Winter Love,” this one is not so hopeful. Still, it comes from a tradition—or rather a revival of a revival of a tradition. Back in my youth we went through an era that Martin Mull called “The Great Folk Scare,” a post WWII time when something called “folk music” grew to be a significant alternative youth movement. It’s going to be hard for me to mention this only in passing here, because there’s so much to be said about that—particularly if I’d try to explain things to those who weren’t around then—but one intensifier to the humor in Mull’s name for this was that it played on the more or less coincident “Red Scare.” That term too could cause me to break out into explaining. Short version: post WWII, the Communism that was an ally of necessity during the Big War was now a mortal philosophic and geo-political enemy. Each side was armed to the teeth, and some of those teeth held the new Atomic Era’s nuclear bombs. Post 1948 there was no significant left-wing political party left in the United States. So, what were the lefties to do? Well they picked up string instruments and started singing “folk songs.” What did that consist of? It was a polyglot form: Actual traditional songs brought over by immigrants, including centuries-old British Isles tunes and stories, semi-commercial amalgams like Blues and Bluegrass and Country & Western songwriters’ songs, and newly-written songs composed by the young participants. A large percentage of those new “folk songs” wanted to make social and political points. Like all genres and social movements, folk music sub-divided avidly, soon developing wings that had no use for others that shared a music store section. Those new political/social comment songs, often written by and sung by those who might also do a Child ballad, a Carter Family song and something learned from a Leadbelly or an Afro-American gospel record, were called topical songs or protest songs. This was a happy accident. If you give a young, inexperienced person the charge to write about something that needs changing, the result may be strident and impassioned, but otherwise ineffective. But if you tell them that it has to fit into a set list or multi-act bill that includes “Mary Don’t you Weep,” “Matty Groves,” “No More Auction Block,” “Keep on the Sunny Side,” “Gallows Pole,” and “Samson and Delilah”—well it can make you step up your game, and give you some moves to help you do that. Another folk singer, Fred Neil, heard Dobson’s song, and in singing it again himself, made an important change. He subtly changed the song’s opening line, mysteriously increasing its power. Dobson had written and sung it: “Take me for a walk in the morning dew.” Neil sung it as “Walk me out in the morning dew,” and the simpler line is now often used as the song’s title. Well, I might not reach that level, or ever have Jeff Beck cover my song, but you can hear the LYL Band’s “Father from the North” with the player below. Happy Winter Solstice. More light is coming. What makes for a “hit” in the small province of the Internet that is yours and mine? We started off the countdown of the most liked and listened to audio pieces here this past fall by talking about the variety of poets and writers that we use for words. Yes, we present well-known poems and poets work, and yes, we like to go further and look at the poets that other poets were influenced by or admired. Sometimes we go yet farther down into the unclaimed storage locker of history, to the obscurities that you likely won’t encounter in school or standard literary surveys. When looking for words I only ask to find some interest in them and that they are of a length and focus that can work with music, and that they are free for me to use (typically this means pre-1923 work that is in the public domain). And you, the audience? If you’ve stuck with our efforts here, you’re broadly curious, or at least ready to wait for something to come along that strikes you. I’m so pleased to have you listening and reading, because, like me, you’re ready to have encounters with the unknown or new aspects of the known. And look at what most captured your attention this fall. Four poems by well-known authors (Sandburg, Cummings, Blake, and Dickinson). 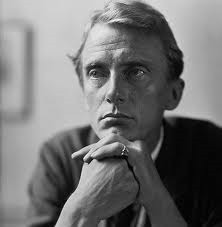 Two by influencers/”poet’s poets” (Edward Thomas and Paul Blackburn). Two that are from classical Chinese poets (Du Fu and the unknown author from the Book of Odes). And one observation I wrote myself (though I also arranged the short quotation from Blackburn and did my own translation of Du Fu). This past fall’s most popular piece is yet another English translation from the Chinese Confucian Book of Odes. 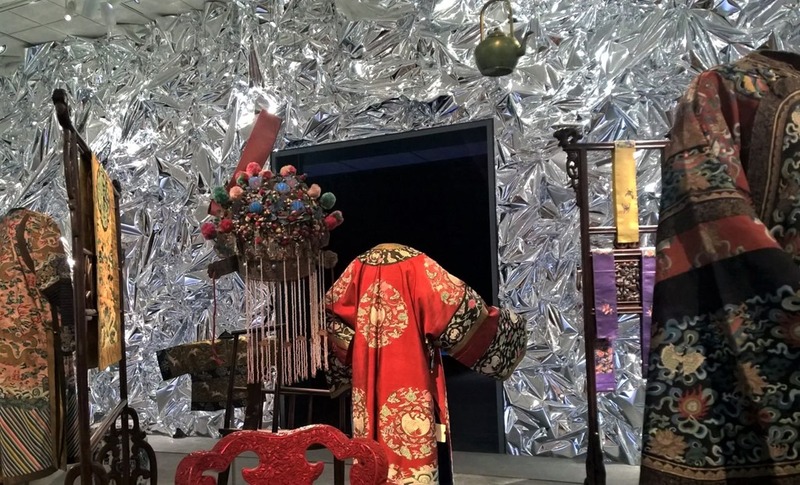 Even though the words appear to be an inaccurate translation, they’ve gathered their own place in English-speaking culture in the same way that the King James version of the Bible, or FitzGerald’s Rubaiyat, or Ezra Pound’s own take on classical Chinese poetry have, despite disputed translation accuracy. Someone first wrote, and likely sung, this poem nearly 3000 years ago in some southern province of China. Given that it’s another of the Odes written in the voice of a woman, we may assume it was a woman. English translations I have read generally portray the speaker as a well-born eligible woman who is more or less saying “Hey suitors. I’m a catch. If you want to marry me, get your proposal in quickly.” A minority contrastingly represent the woman as being too picky, rejecting too many suitors, and in that view, she needs to stop fiddling around and choose. Either reading is interesting. At least on the face of it, it’s reflecting some (though likely upper-class) female empowerment in bronze-age China. But these are not the translations I used. Here’s the text of the translation I used for my performance. It can be found all over the Internet, but more importantly and intimately, it was known by my wife who sent it to me. When I first posted my performance as “Wild Plums” I didn’t know who did this translation, and despite several hours of reading and searching, I still don’t. Translators generally are attracted to and retain the poem’s litany of plums* decreasing in number, regardless of how they render the situation, but the outlook presented by this version is different. The woman has less agency, or at least in this matter of desire and longing over the course of the poem, she is willing to cede for the moment her power (other than hope). And that is one of the things lyric poetry allows: no one need expect that the moment of emotion or perception in a short lyric is a person’s whole thoughts and feelings on a matter, or themselves. We only ask that it shows us something vital that we wish to have shared between ourselves. As such, this version strikes a chord in our time and our culture. I saw the movie when it came out, and I remember liking it. A different take on the RomCom formula. The woman in this scene (played by Amy Irving) is the movie’s unmarried heroine, and the somewhat smarmy dreamboat across the table (Jeroen Krabbé) captures the heroine’s attention immediately with the personal resonance she feels with this version of the poem. The person who posted the movie’s poetry scene on YouTube says the translation was by Arthur Waley, but I’ve already found other references to a completely different translation that begins “”Plop fall the plums; but there are still seven” by Waley. So, what’s my mystery translator theory? Could it be by Susan Sandler herself? If anyone knows, please give me info in the comments. Well after all that, here’s my performance of this piece. If you haven’t heard it yet, the player is below. *Poets and writers seem attracted to the plum when choosing their imagery. The wild plum is referenced elsewhere in the Book of Odes, and Horace, Laura Ingalls Wilder, James Joyce, Mary Oliver, and William Carlos Williams (meme-worthy, if non-wild, plums). I even decided to use wild plum blossoms in my own ode about my son. 4. Tell All the Truth but Tell It Slant words by Emily Dickinson. It should be no surprise that Dickinson turns up often here. I’m attracted to short poems that have a word music of sound or thought, and Dickinson has both in abundance in this, another very short text: 41 words. This poem is often read as Dickinson’s private artistic credo. In summary paraphrase: “I’m going to write about things obliquely, because you people can’t handle the truth.” Still, I think there are other elements here, other harmonic overtones. One is the human tendency to slant the truth. In the poem’s one simile, she likens this slanting to the pleasant myths told to children threatened by lightning, and I don’t believe that’s Dickinson’s goal in her writing. Another aspect, reflected in another Dickinson poem, “There’s a Certain Slant of Light,” is the Transcendentalist outlook, one that she seems to have been aware of. In that other poem there’s that word “slant” again, but here we are to know it’s nature itself that’s slanting reality. The transcendence in Transcendentalism is the belief that the surface of reality is not all there is, that study and insight and a visionary approach can reveal a deeper reality. 3. Crepuscule (I Will Wade Out) words by E. E. Cummings. More slanted light here, as Cummings meditates on the arrival of a sensuous night. If the 19th Century American Transcendentalists were the ancestors of the 20th Century American beats and hippies, Cummings here seems to be heralding the Surrealists that would soon emerge within a decade in the dreams of a European night. With much extravagance of language, Cummings risks ridicule without a care. I’m quite fond of the music I wrote and played for this one. The acoustic guitar is tuned in “Pelican tuning” which is named after a piece by John Renbourn that used it. 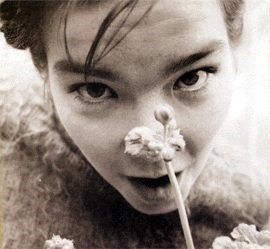 “I will rise after a thousand years lipping flowers.” No, I’m not covering Björk Guðmundsdóttir, I don’t have enough diacritical marks or musical genius. 2. Cold Is the North Wind words by unknown. This is a piece taken from the Confucian anthology of ancient Chinese poetry titled variously in English The Book of Odes, The Classic of Poetry, the Book of Songs, or just Poetry. Since the collection’s poems date from deep antiquity, perhaps as far back as 1000 B. C., authorship is unknown, though not a few of them are written in a woman’s voice, and the subjects of the first section, The Airs of the States, are often everyday people and everyday activities, not Emperors or scholars, not heroes and their great battles. The reason for collecting the poems and making them required reading is also hard for history to remember. The consensus over time was that in studying these poems an understanding of the Chinese empire’s subjects and concerns would be engendered. In England and its colonies, it was contrastingly once assumed that its future leaders would study ancient Latin and Greek poetry as a core subject. Weighing something as large as history is hard, and I can’t say if either of these two traditions helped much. Evil and ignorance, mendacity and violence—how far can we range in history without running into lengthy annals and imposing monuments to those things? We can’t avoid these monsters, and yes, and so, we must study them. Yet, yet, what if our leaders were expected to study a song such as this? I can’t believe it would help most. I also believe it would help some. Cold enough that some hot tea would be good, but Gong have flown off with the teapot. We have just one more number in our countdown of the most liked and listened to audio pieces this past Fall. We’ll be revealing Number One in our next post. 7. A Poison Tree words by William Blake. When I posted this piece this fall, I remarked that Blake never seems that popular with the blog readers/listeners here. Dave and I have always sung Blake pieces since the early days of the LYL Band, and so we persist anyway. 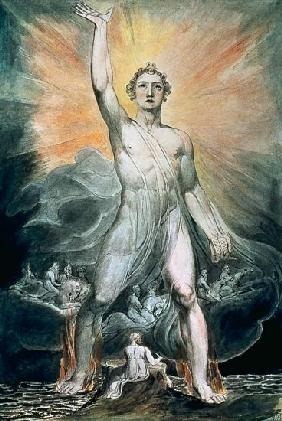 Well, this piece finally allowed William Blake to break out. I can’t say exactly why, but I’m just glad it found an audience. When I first encountered Blake as a young man, one of the things that I admired about him was his DIY/Indie spirit: apprenticing as an artist/engraver, doing his own coloring, writing his own texts, devising his own mythology, making his own prints. In the psychedelic Sixties there was this appeal because Blake was a visionary, the man who was reported out talking to angels in trees. Well those are the reports—but the work says he did a lot more than that, using his hands and applied energy. Reminds me of one of my mottos: Creative people aren’t people who have great ideas. Creative people are people who make things. Of course, you’ll need some ideas, some vision that we need to see—but sometimes you’ll come upon those on your workbench scattered and shining amid worn tools. In pickup basketball games, Blake always played skins. Also no pants. 6. Gone Gone Again words by Edward Thomas. Thomas has been a blog favorite here ever since I followed the connection from Robert Frost to him, and discovered that I had unwittingly nearly reenacted his most famous poem “Adlestrop” on a visit to England. Thomas seems to have suffered from depression and other issues throughout his life. I don’t think that sadness inspires deep poetry, so much as battling it does, and Thomas’ poem is a compressed record of that battle as well as his beloved countryside of England during WWI. 5. 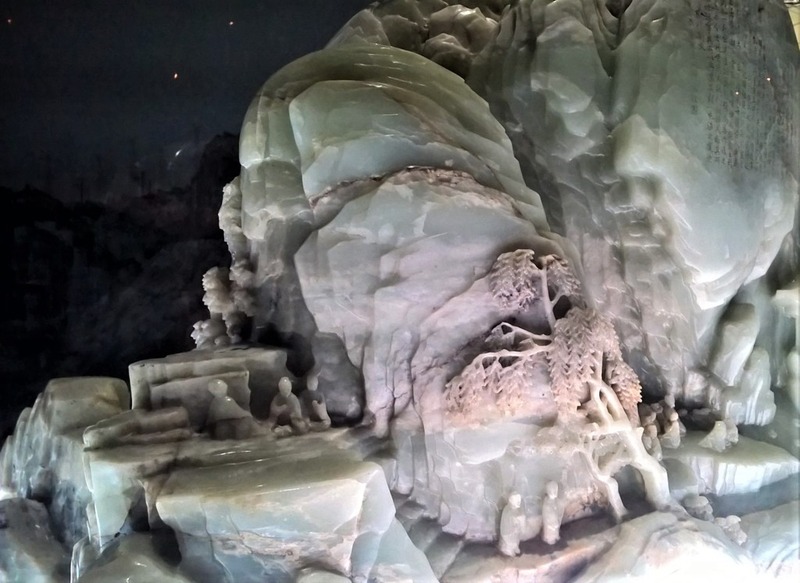 Jade Flower Palace words by Du Fu. I’ve noticed that I was using a string section of some sort (or its Mellotron equivalent) for every piece so far. Finally, we break that pattern as a conventional, unadorned LYL Band rock-combo instrumentation is used in this live recording. There’s something I feel in Du Fu’s poem that is very near to Edward Thomas’ that is just above in the countdown, so it’s a nice coincidence that they slot together in popularity this time. During the Parlando Project I’ve taken to doing my own translations from non-English language sources, including this one. Particularly with classical Chinese poetry this is risky or audacious on my part. I’m not sure if I should be encouraged by the number of inaccurate translations that are out there, including some that are fairly well-known—for example: the Chinese translations of Ezra Pound, which I’ve loved even after learning of the translation errors present in them. I sometimes view my task as translator like I view my job as a musician who wishes to cover someone else’s song without merely duplicating it. I don’t want to be unfaithful to what the writer intended, but I do want to express it, in my own country’s language, in my own time, to my own audience. To do so, I may pull things toward my own language and my own grasp of the author’s imagery to keep what comes out vital. That may just be an excuse for my own weakness in foreign languages and other skills of translation. Still, though Ezra Pound’s “River Merchant’s Wife” or “South Folk in Cold Country” are not what Li Bai wrote, they are powerful works. But then, Aretha Franklin’s “Respect” isn’t Otis Redding’s “Respect” played back faithfully either.